If you live on Queen Anne Hill — or eat there — you might recognize Thoa as the Vietnamese chef who opened the popular pan-Asian Chinoise Cafe in 1996. 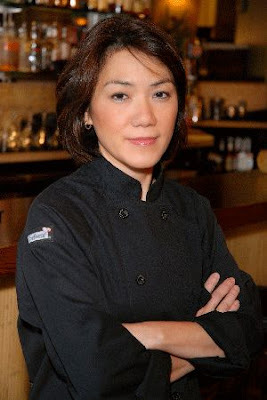 Thoa has since opened (and closed) several other Chinoise outposts, and you can still enjoy her pan-Asian menu at the orginal Queen Anne location and at Chinoise on Madison, in Madison Valley. But downtown at the crossroads of hotels and haute cuisine, she’s determined to bring about the union of taste and art with a new menu at Thoa’s — one that takes a more focused look at the foods of her native country. Among her contemporary Vietnamese specialties you’ll find soft-shell crab summer rolls, seared tuna lotus salad with rau ram, Vietnamese steak frites and an MSG-free version of Seattle’s favorite soup sensation, pho tai. In the coming months, menu- and decor changes will continue to evolve and Thoa says she intends to keep Islander regulars happy by offering old-menu favorites like her poke ahi salad, steak loco moco and Spam fried-rice. 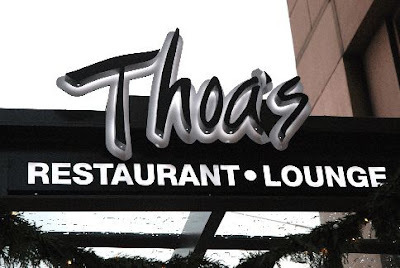 Thoa’s is open daily. Anybody been? What do you think?